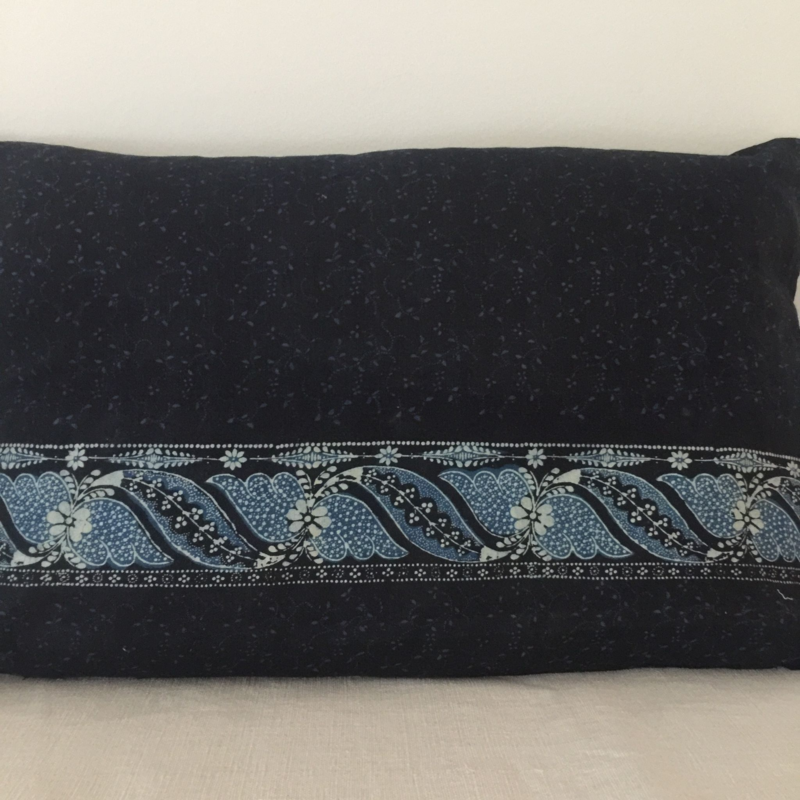 Cushion covers from resist dyed indigo. This wonderful fabric originates from Slovakia. It was hand block printed and overdyed before being made into heavy skirts. We unpicked some of these vintage skirts to make this range of cushions. 60x40cm, Fastened with ties made from the same fabric.